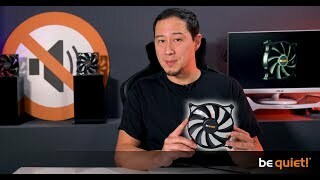 PURE WINGS 2 | 120mm high-speed silent essential Fans from be quiet! The Pure Wings 2 120mm high-speed fan brings exceptional be quiet! cooling to entry level computing. The extremely high air pressure makes it a perfect choice for powerful water- and air-cooled systems. Pure Wings 2 high-speed fans offer outstanding reliability and exceptional cooling for a great price-performance ratio. Due to the extremely high air pressure produced the Pure Wings 2 120mm high-speed fan is especially recommended for powerful water- and air-cooled systems. It makes the fan the perfect choice for performance systems which need massive cooling like gaming and multimedia systems. Thanks to its surface-optimized fan blades the airflow is enhanced, noise-generating turbulences are minimized and the air pressure is increased. This feature is the key to effective cooling. Pure Wings 2 120mm high-speed fan operates at only 35.9dB(A) even at maximum speed. The Pure Wings 2 120mm high-speed is the hallmark of outstanding reliability. This is achieved by its high-quality rifle bearing technology, which assures a very long lifespan of up to 80,000 hours.